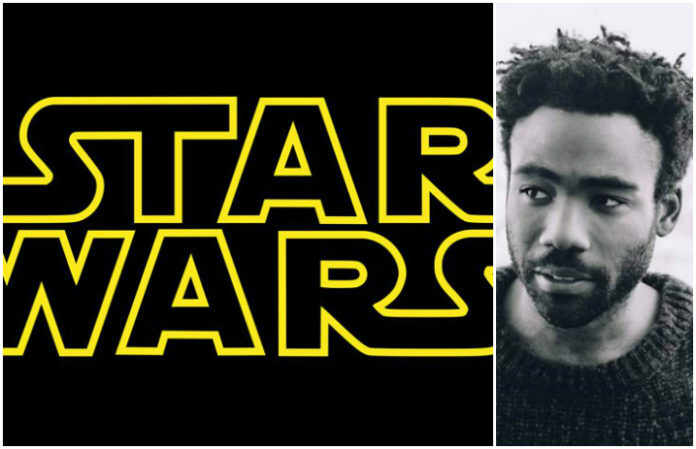 Lucasfilm announced that Donald Glover has been cast as the part of Lando Calrissian in the still-untitled Han Solo Star Wars film. He’ll be joining Alden Ehrenreich, who’s already been cast as Han Solo, at a time in the space saga that has been previously unexplored. Chronologically, the movie will take place between the prequel Episode III: Revenge of the Sith and George Lucas' first Star Wars film, Episode IV: A New Hope. The yet-to-be-titled Han Solo movie is set for a 2018 release. Glover is best known for creating and starring in the FX series Atlanta, as well as starring four seasons in Community. He will also be in the upcoming Spider Man: Homecoming.